The U.S. Army Heritage and Education Center contracted B.R. 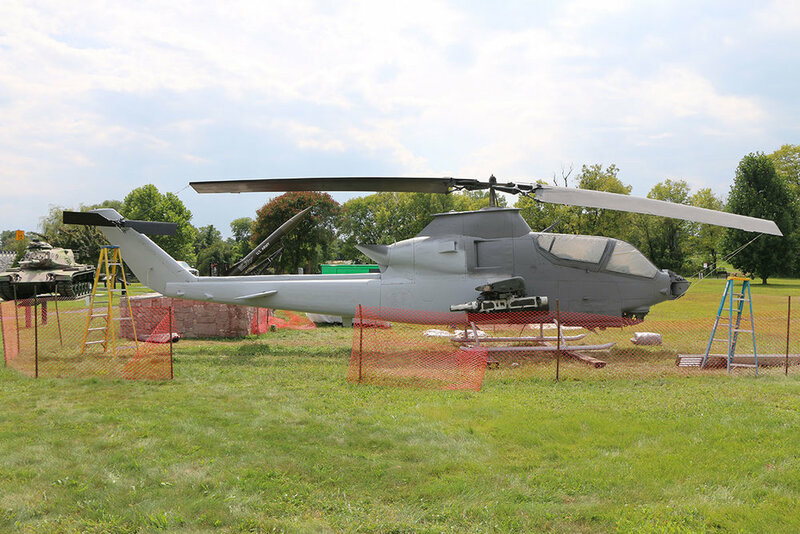 Howard to restore their AH-1S Cobra Helicopter which had numerous layers of paint that were failing and had badly oxidized over time. 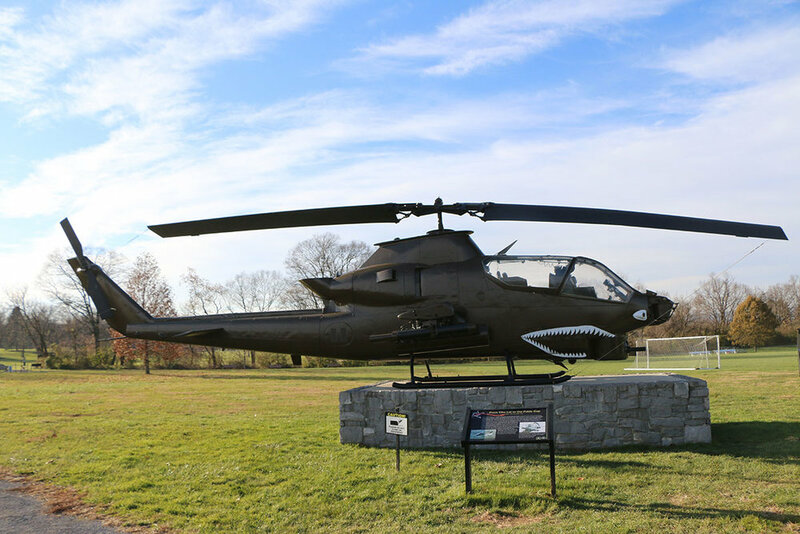 The AH-1S Cobra, produced by Bell helicopter was the Army’s premier attack helicopter of Vietnam. It flew for the first time on September 7, 1965 and entered production in 1967. The Cobra was designed specifically for close combat air support and could carry a heavier weapons load out than the Huey. This load out included a 20 or 30 mm cannon, rocket pods, and/or TOW anti-vehicle missiles. 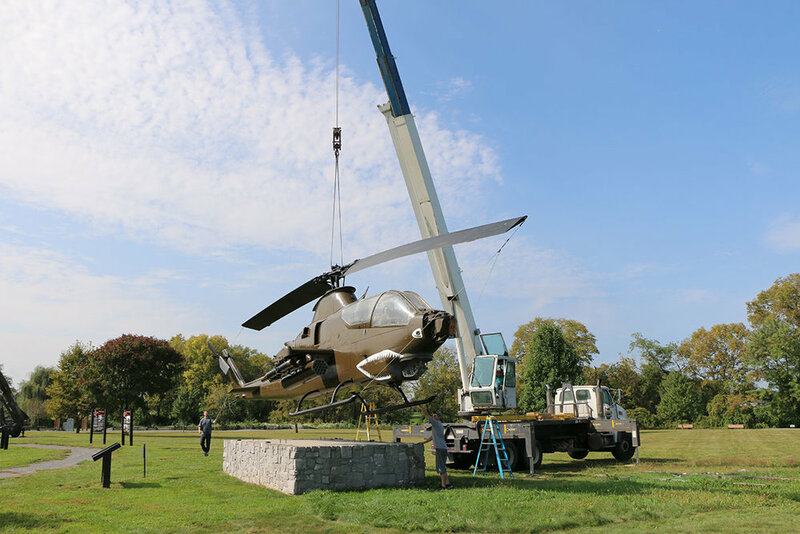 The AH-1 Cobra was lifted with a crane from an elevated concrete and stone platform onto blocking for treatment. 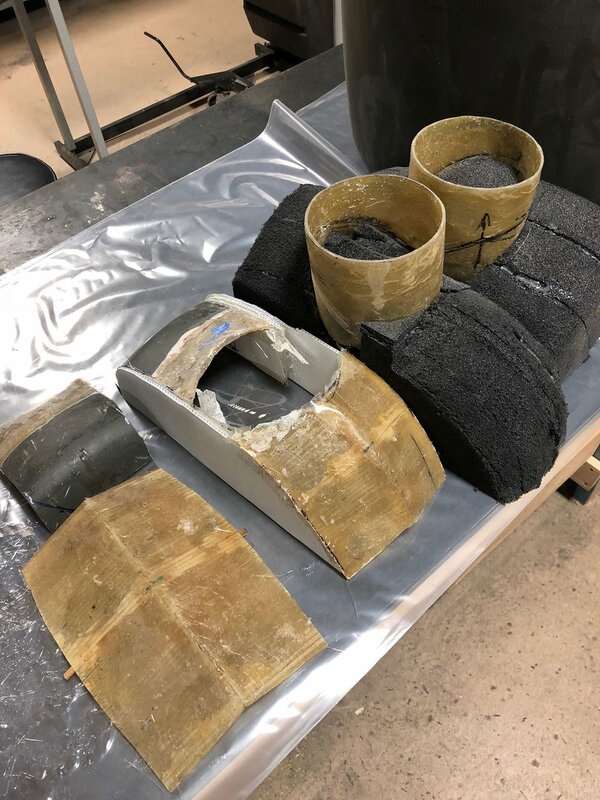 Paint samples were taken and prepared for cross sectional analysis to determine the sequence of previous paintings and restorations. 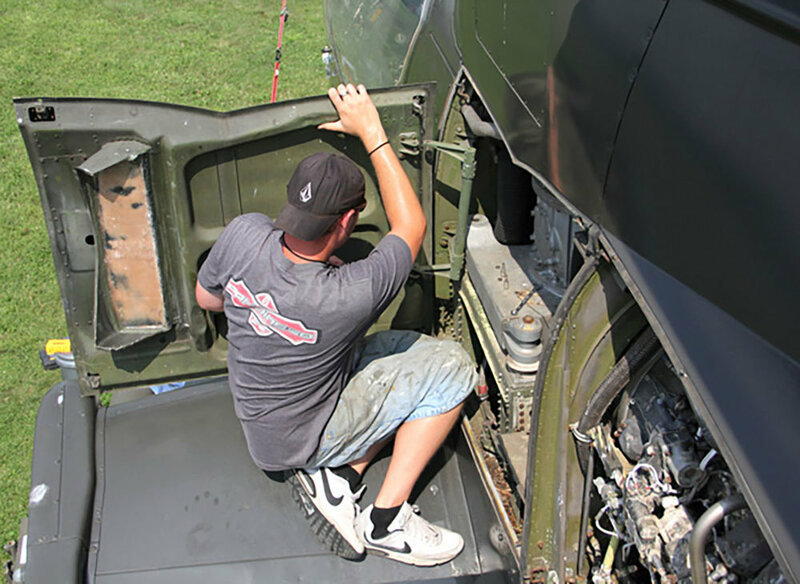 Nesting materials were removed from internal engine compartments and cavities in the helicopter. All openings such as the air intakes and openings around the rotor mast were then sealed using custom fabricated fiberglass panels. These panels were adhered using existing hardware in conjunction with silicone caulking where necessary. The front turret, cannon and M134 minigun were missing. 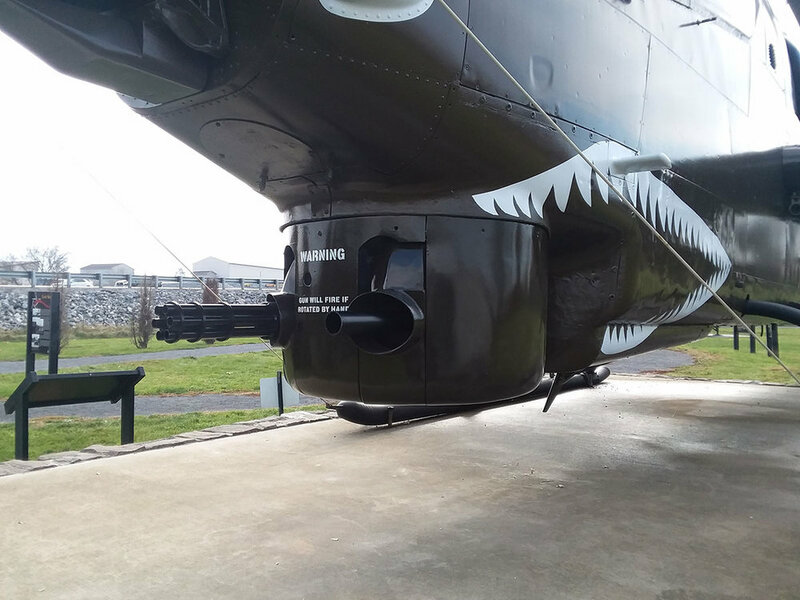 Original specs and drawings were provided and were custom fabricated for the helicopter. The stencils and markings were measured their locations documented before the failing painted surface were removed with wet, micro-abrasive blasting. The surface was thoroughly cleaned and prepped for primer and new paint coatings that were spray applied. 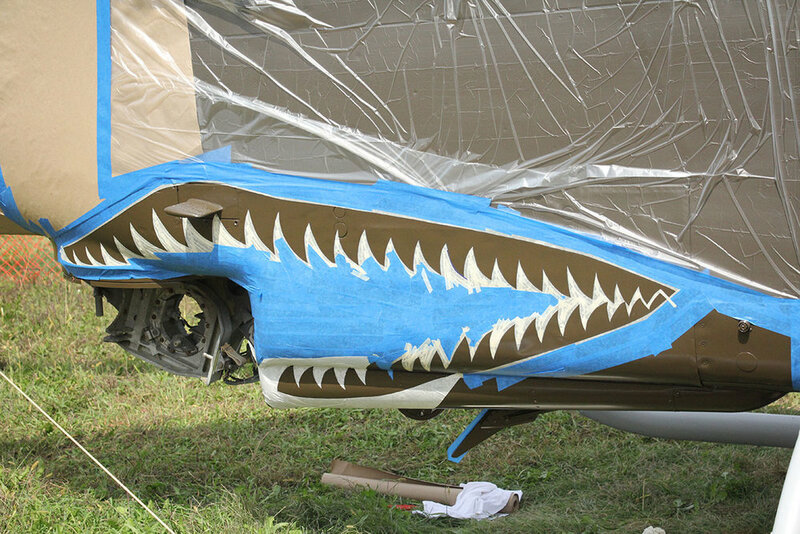 The stencils were then reapplied in the proper locations before the Cobra was lifted and fastened to the concrete base and stainless steel braided cables were used to secure the blades.